To be honest, this manicure is from mid-September and I don’t remember much about it – other than LimeSickle is a freaking chameleon of a polish! In some lights, it was just straight up yellow, then it would turn green, then blue. 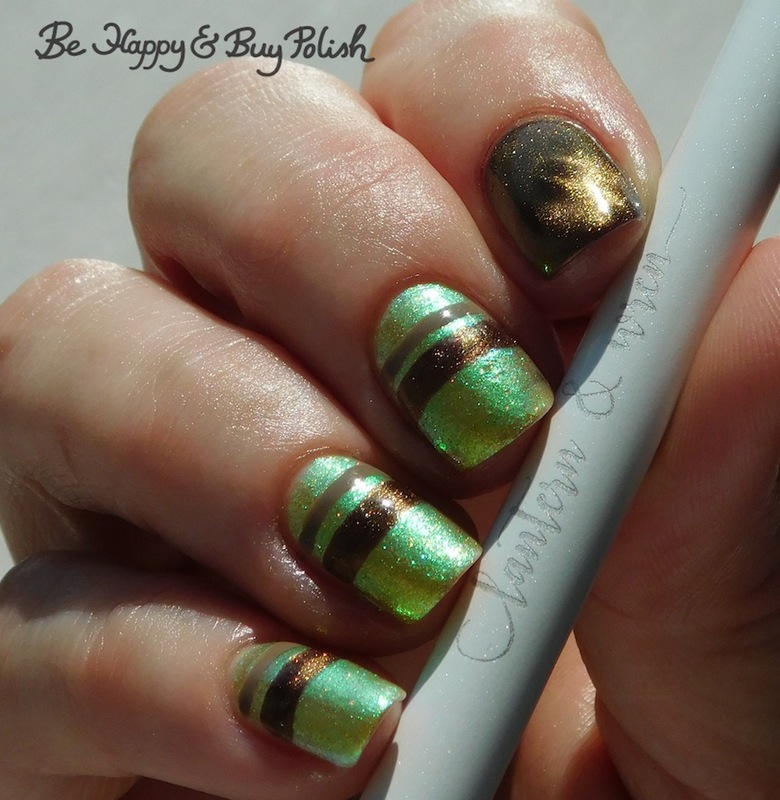 I used the double-ended magnet for this mani with the 3-magnet side. I also ended up using this exact same design for a pedicure that I actually got so many compliments on!